Now 100% Cordless! 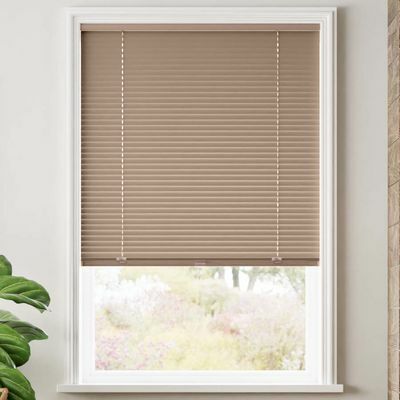 The perfect blend of traditional blinds and modern functionality, the 1" Cordless Aluminum Mini Blinds are the best of both worlds. And with beautifully neutral colors options, these blinds will complement your existing home décor. 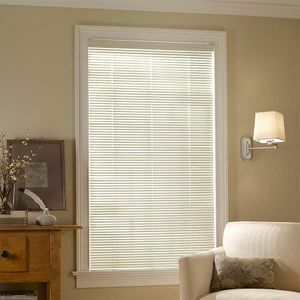 Love the affordability and durability of mini blinds, but looking for a clean, uncluttered look? You’ve found it! As our most child-safe option in mini blinds, these cordless blinds can be raised and lowered with a single touch on the bottom rail. It’s that simple! They’re lightweight, making them perfect for large windows. The baked-on enamel finish prevents fading, repels dust, and keeps them looking newer longer. To learn about the Best for Kids certification program, please click here. Beautiful cordless appearance provides a clean uncluttered look. One-touch tilting, no separate tilt wand. Contoured headrail with hidden brackets for a seamless appearance. Integrated control handle on the bottom rail. Height of blinds may be 2"-3" longer than ordered. This product cannot be side mounted. Single headrail can be made up to 72" wide. Wider widths are available utilizing multiple blinds mounted side by side. Inside mount blinds will be made 3/8" less than ordered width. Deductions taken at factory to ensure a proper fit. Do not take deductions into account when measuring. 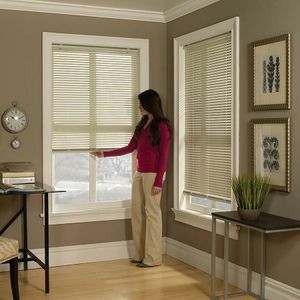 * Wider widths are available utilizing multiple blinds mounted side by side. Got exactly what I wanted, even faster delivery than I expected. A plus was that I could put these up in brackets already in place. 10 minutes for two large miniblinds. Blinds look & work great. Online shopping was quick & easy.